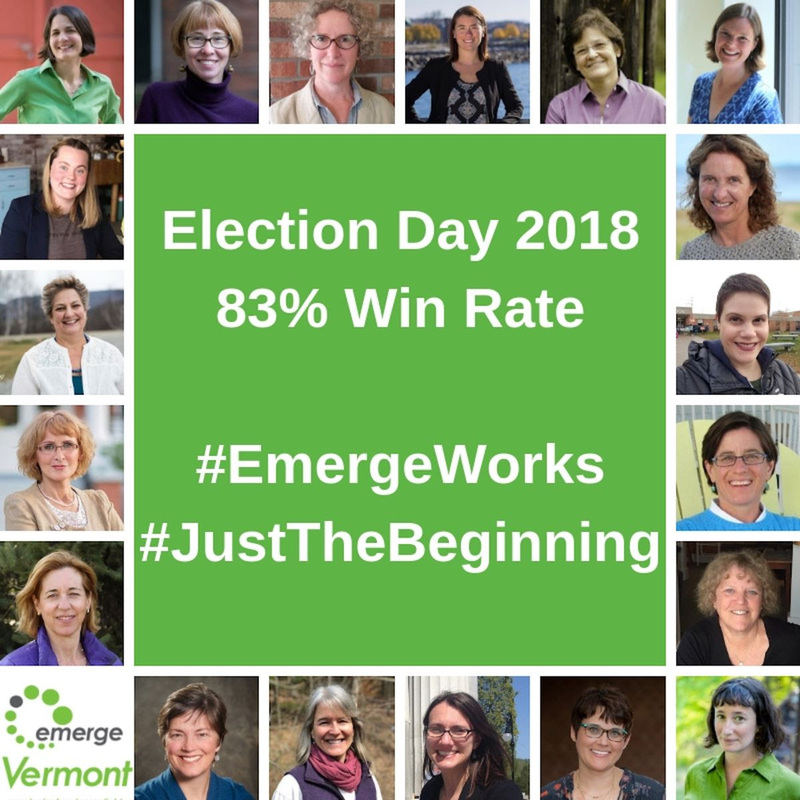 Election Day 2018 was big for Emerge Vermont – 83% of alumnae and staff won! Emerge alumnae won key races in Addison, Bennington, Chittenden, and Franklin counties, helping to secure a veto-proof majority in the Vermont House. CONGRATULATIONS TO ALL OF THE WOMEN ON THEIR ELECTORAL SUCCESS!